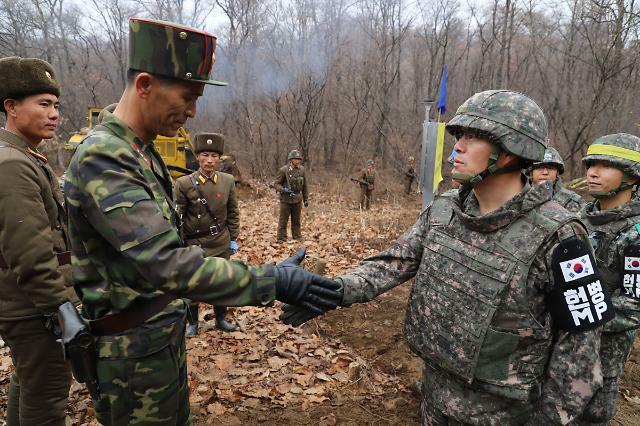 SEOUL -- South and North Korean military engineers shook hands to celebrate the connection of a new cross-border road that would be used for a joint project to excavate war remains buried in a 1953 battlefield in the world's last Cold War frontier. The South's defense ministry said Thursday that the 12-meter wide unpaved military road was connected at the midpoint of the demilitarized zone (DMZ), a four-kilometer-wide strip of land that has divided the Korean peninsula since an armistice accord ended the three-year conflict in 1953. Soil stabilization, flattening and the installation of drainage will continue until the end of the year, the ministry said. 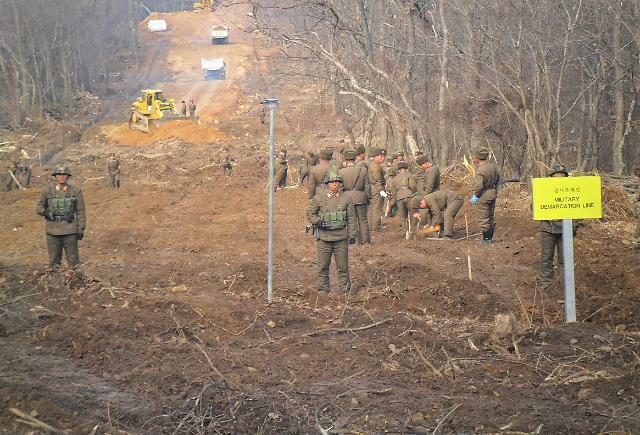 In a demining operation that began on October 1, North Korea has removed thousands of landmines on its side while South Korea has removed hundreds of mines and unspecified explosives. The six-month joint excavation of war remains in the northern border town of Cheorwon will begin in April next year in Hill 281 (Arrowhead), a site of intense battles in 1953 for dominant and strategic hilltop positions. 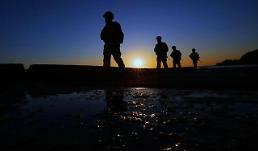 Defense ministry data showed hundreds of soldiers from South Korea, the U.S. and France were buried in the hill. Chinese soldiers fought for North Korea. The DMZ has been heavily fortified with minefields, guard posts, concrete walls and electric fences. At a summit in Pyongyang in September, the two Korean agreed to disarm the border truce village of Panmunjom and tear down DMZ guard posts on a trial basis. The White House wants the full excavation of some 5,300 American soldiers known to be killed and buried on the northern part of the Korean peninsula. From 1990 to 2006, Pyongyang returned hundreds of remains in return for financial compensation in a joint project with U.S. officials. 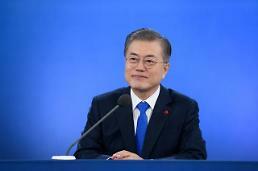 To remove the risk of war, the two Koreas stopped all hostile activities including artillery drills and field maneuvers on November 1 by setting up maritime, air and ground buffer zones in front-line areas.